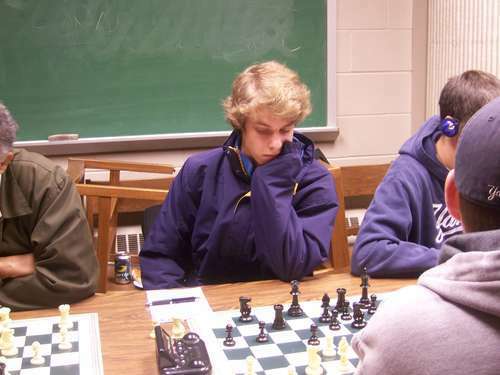 10.04.07 Three Maine scholastic players are firmly entrenched in the October 2007 USCF top 100 players in the nation lists based on age. Lucas McCain (1808) is the fifty-sixth strongest fifteen-year-old in the U.S., Cullen Edes (1783) the eighty-sixth strongest eighteen-year-old and Matthew Fishbein (1337) the sixty-second strongest nine-year-old. ChessMaine salutes the accomplishments of these wicked good Maine players--Ayuh! 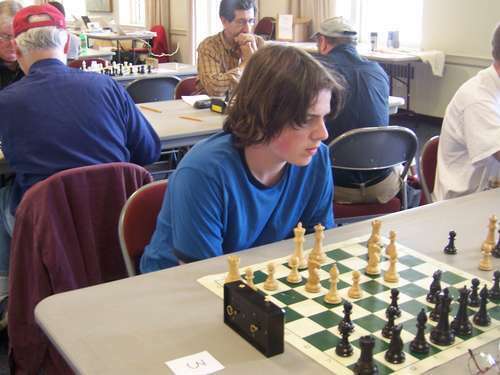 Cullen Edes is currently at his peak rating of USCF 1783. Matthew Fishbein will also register his peak rating in the next rating cycle: USCF 1369. We congratulate these players, wish them the best and hope they continue to (as Tony Rook would say) "keep on checkin'."